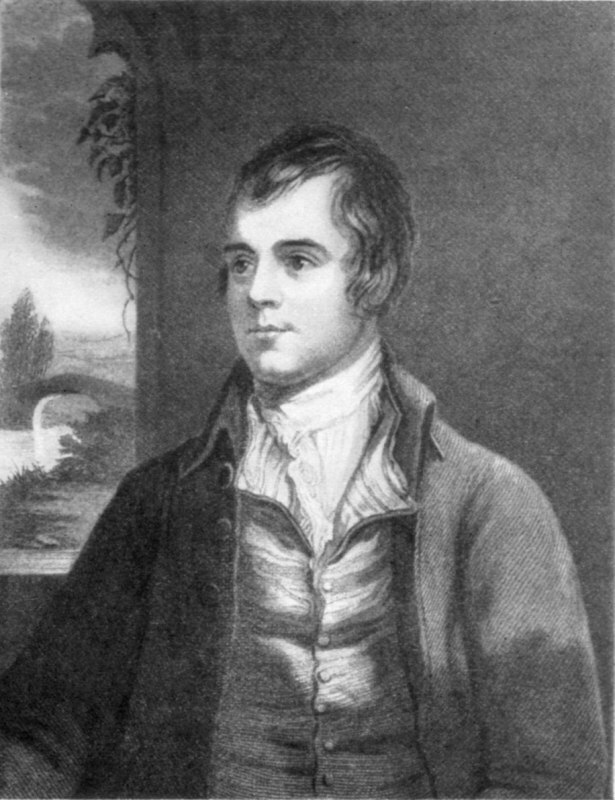 Scotlands’ most famous poet, Robert Burns had a short and colourful life that was the cause of many a raised eyebrow within the Church and the local community. Burns was born in the village of Alloway, near Ayr, in 1759. He grew up in poverty, and labouring on the farm took its toll, by leaving him weak and with a premature stoop that belied his young age. He combined his farm work with writing poetry, and it has been reported that he found it almost impossible to even write a letter without putting it in verse. He eventually got married to Jean Armour in 1788, and they had nine children, but in spite of this he still had other women in his life, the most notable being Alison Begbie for whom he apparently wrote four songs. Over the years, Burns had become well known as a drinker and a womaniser, and in 1789 he became an Excise Officer, a move which probably didn’t go down too well with some of his drinking buddies. In 1791 he gave up farming to concentrate on his excise duties and writing poetry, and much of his inspiration came from travelling round the countryside and writing of his own experiences, in song and verse. He also wrote about some controversial themes like Patriotism and class structure, and he did so with some degree of humour. Burns died in 1796, and it is thought he died of rheumatic fever. He was just 37, but the memory of his short life lives on. His most famous song “Auld Lang Syne” is sang on Hogmanay all over Scotland, and throughout the world to celebrate the New Year. Burns Night is celebrated on 25th January, believed to be his birthday, and is honoured in many countries around the world, where there are Scottish connections. The first Burns night is believed to have been held in Alloway in 1801, in July, when some of his friends gathered to mark the fifth anniversary of his death. A typical Burns night will have speeches to “The Immortal Memory” of Rabbie Burns, and there will be the traditional meal of Tatties, Haggis and Neeps. (Potatoes, Haggis and Turnip). The haggis is carried on a platter to the haunting sound of the bagpipes. His work was in his own unique style, and to say his literary accomplishments were distinctive, is just a little bit like saying that the great Pele was not a bad footballer. Robert Burns’ birthplace in Alloway is now a public museum.